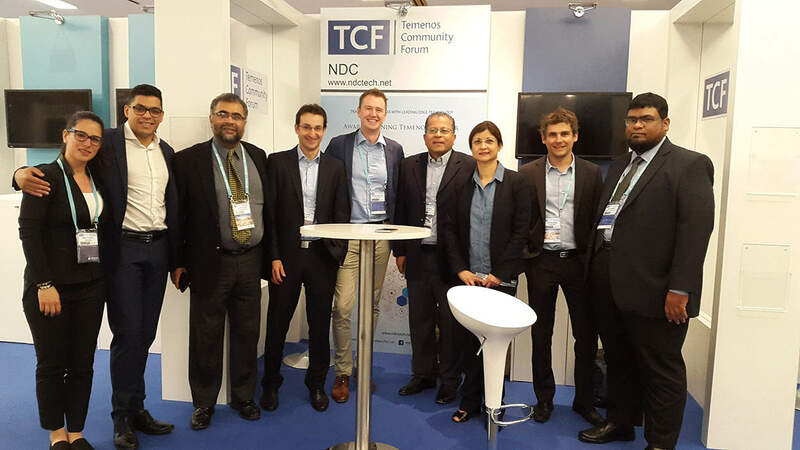 Karachi, 4 July 2016 – NetGuardians SA, a leading Swiss Fintech company, has joined forces with NDC Technology Consultants to enhance fraud risk mitigation and compliance for Banks in Pakistan. The new partnership will leverage NetGuardians’ and NDC’s respective strengths in risk mitigation technology and project implementation expertise. NetGuardians and NDC strategic partnership is built upon their mutual desire to offer clients the most innovative technology solutions – like FraudGuardian. NDC is a accredited Partner of Temenos; twice awarded for its outstanding performance as “Best Partner Project of the Year” in 2011 and 2014 and finalist in 2015. NDC recently was shortlisted in Fintech’s Innovation Jam in Dubai and at TCF Fintech’s Innovation Jam in Barcelona in 2016. NDC has domain expertise and experience of implementing solutions for Central Banks, Commercial banks, Islamic Banks, Microfinance Banks, and Investment Banks in Pakistan and MEA Region. NetGuardians is well-recognized as a leading Fintech company in Europe, Africa and the Middle East for their solutions that provide critical controls against banking fraud and facilitate regulatory compliance. Their Big Data enterprise software platform leverages user behavior analytics to monitor and analyze user activities and financial transactions in real time across the entire banking system, giving banks continuous control of risk. NetGuardians is also a Temenos Complementary Solution Provider. “Banking fraud is a growing concern in Pakistan; as in other countries worldwide. NDC has a long-standing expertise of the Pakistan banking industry. We believe that together with NDC, we have a strong formula to help financial institutions address their anti-fraud and regulatory requirements,” says Matthew Reddington, Business Development Manager at NetGuardians. NetGuardians is a leading Fintech company recognized for its unique approach to fraud and risk assurance solutions. Their software leverages Big Data to correlate and analyze behaviors across the entire bank system – not just at the transaction level. With pre-defined controls, NetGuardians enables banks to address specific anti-fraud or regulatory requirements. A controls update service ensures financial institutions benefit from ongoing protection in the face of the continually evolving risk challenges of a border-free world. Founded in 2007, NetGuardians was the first company to emerge from the innovation incubator Y-Parc, in Yverdon-les-Bains, Switzerland. Since then, they have seen a steadily growing client base in Europe, the Middle East and Africa. In 2015, the company was named a Gartner “Cool Vendor” in the “Cool Vendors in Audit and Compliance Innovate Controls Validation Techniques” category. Headquartered in Switzerland, NetGuardians has offices in Kenya, Singapore, and Poland. NDC is one of the oldest and award winning partner of Temenos since the year 2000 providing Core Banking Consulting, Implementation, Support & Training Services for T24 across Middle East & Africa region. With over 30 + banks & financial institutes as its clients, NDC has focused on providing high quality standards for its customers through its certified resources and adapting industry leading governing and implementation best practices. Their expertise and experience is in the areas of Conventional Banking, Islamic Banking, Central Banking, Microfinance Banking, Investment Banking and Non-Banking Financial Institutes.